Would you please tell us a little bit about yourself? I’ve just turned 44 and currently live by myself in the small village of St Bees, which is on the most western point of the Cumbrian coast. It’s a bit remote which means lots of travelling to get anywhere but having access to a stunning beach, the quieter side of the Lake District and having a fantastic group of friends to go exploring with make up for the time spent in the car. When I’m not running or cycling around the fells, or travelling further afield to bigger mountains, I love spending rainy days in the kitchen (setting up an informal crew Bake Off when I was Marshal Manager was great fun) and taking photos. I also regularly play the guitar but I’m not going to divulge my dodgy musical tastes! 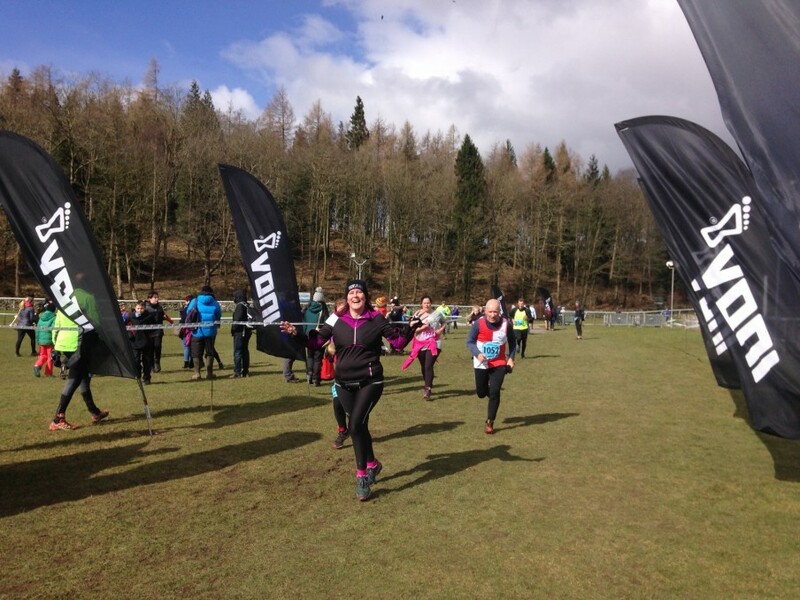 How did your Lakeland Trails journey start? Love brought me back to Cumbria six years ago to be with my girlfriend at the time. As so often in life, things didn’t quite go to plan. 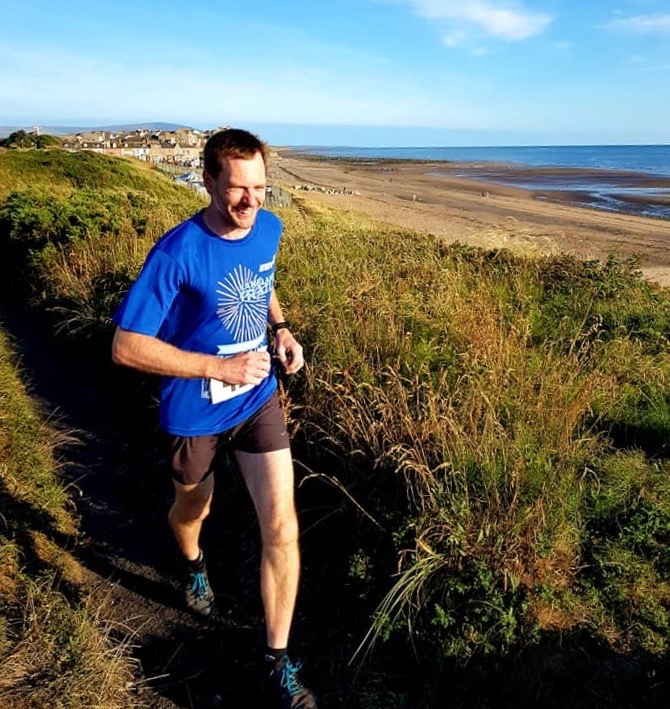 So I joined St Bees Triers to build up my social circle and used running as a way of finding my feet. 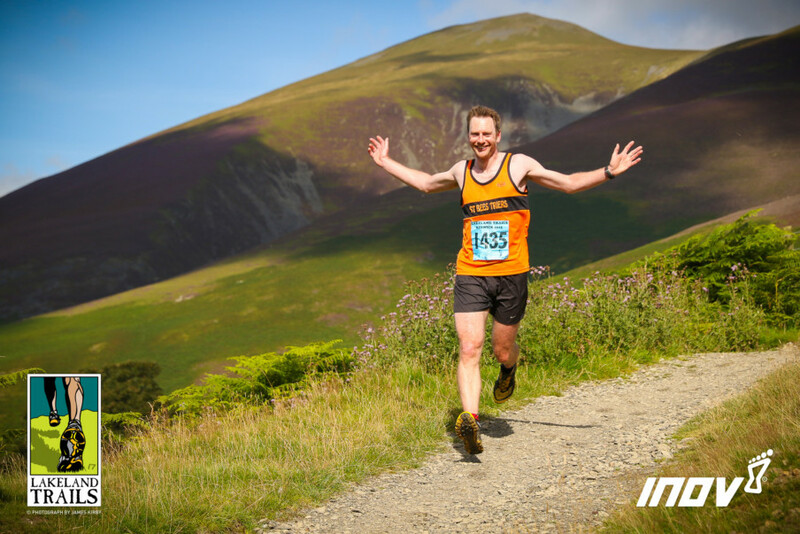 That in turn motivated me to take part in my first Lakeland Trails in Keswick back in 2013. 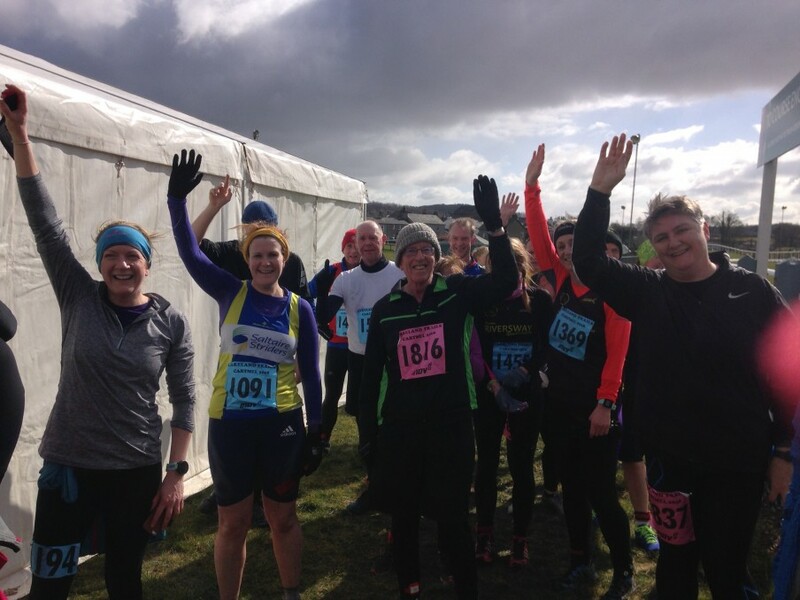 Even though I was reasonably fit, I still had the nerves on the start line – I suppose it was because I didn’t feel like a ‘proper’ runner and didn’t know what to expect. I needn’t have worried! 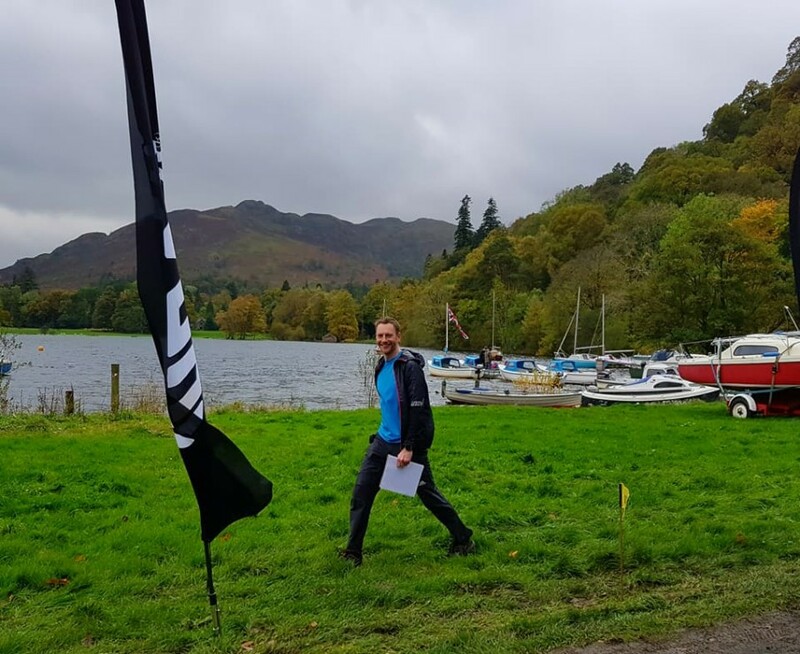 I loved the event so much that I quickly signed up for the Helvellyn Trail, deciding to volunteer as a marshal as well as run. Even though I was the wettest I’ve ever been, the enjoyment from having hundreds of drenched but happy runners going past meant that I was addicted! 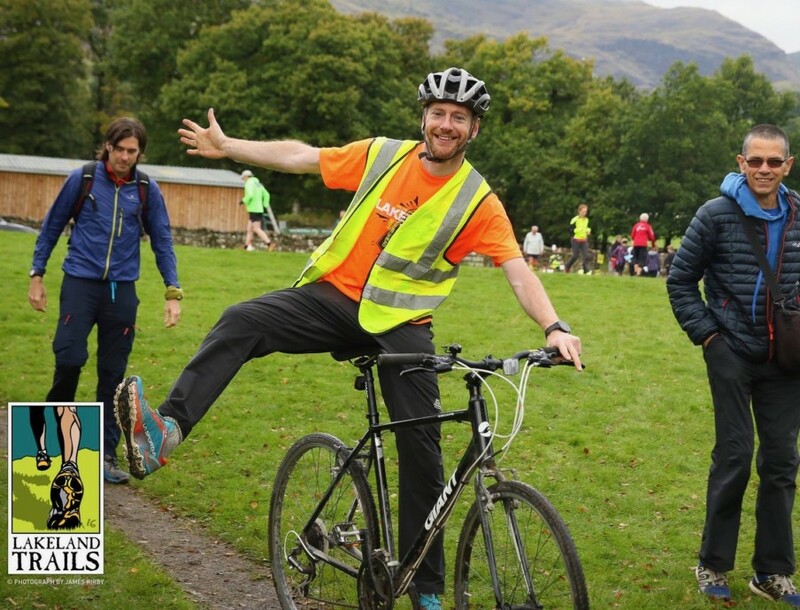 Once you’ve been to a few Lakeland Trails, you soon recognise familiar faces and feel part of the community, so a couple of years later, I took on the Course and Marshal Manager role. That progressed to me getting involved with developing our in-house radio communications and here I am now managing and delivering the events. When did you first start running? My running journey started out of chance. I was part of the school fell-walking club and the teacher who organised that, a lovely chap called Mr Horsford, was also responsible for the cross-country team. Apart from anything else, I was flattered when he suggested I could be a good runner. So I joined the club, ending up representing my school. It’s strange that the memories I have of that are the green swimming pool at Stonyhurst College (apparently, it’s still there) and listening to a tape of Bon Jovi on the coach trips! Do you run for a club? I’m a member of St Bees Triers. 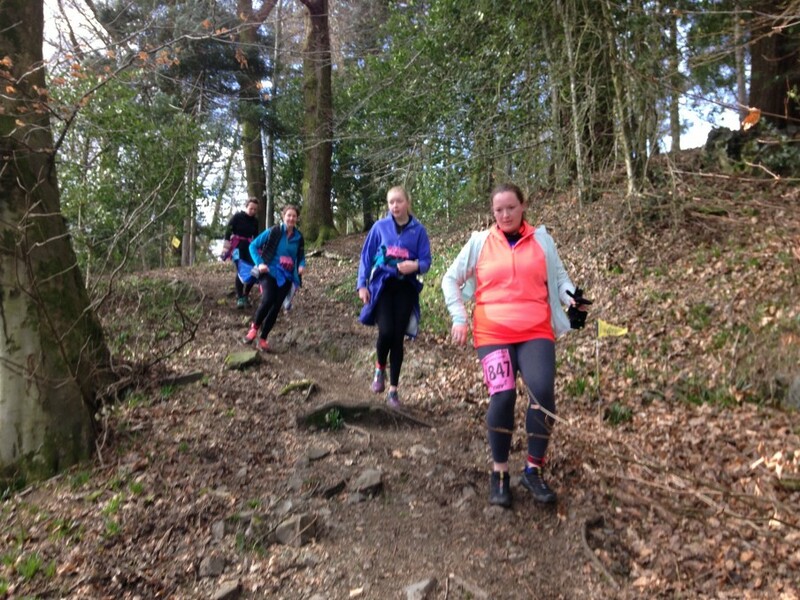 The club shares a similar philosophy as Lakeland Trails – it doesn’t matter how fast or slow you are, so long as you enjoy yourself and try your best. It’s a great club – everyone’s warm and welcoming and we’ve a couple of fantastic coaches. 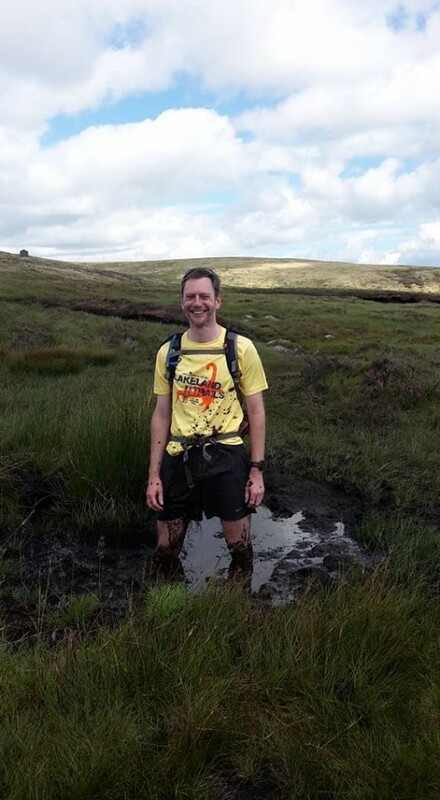 I organise weekly trail runs and have a bit of a reputation for finding the hilliest, boggiest routes – they just make running even more fun! 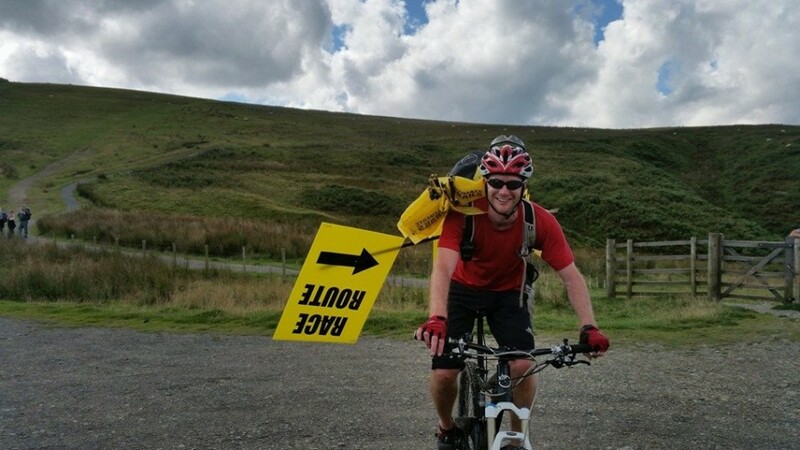 Last year was your first year in charge of managing and delivering the Lakeland Trails events. How was it? Well, last year was certainly a challenge! When you asked me if I’d be interested in taking on the event management, it really seemed like a no-brainer. Lakeland Trails has brought me so much happiness and it was a privilege to be able to put my skills to good use to allow people to keep experiencing the magic of the events. The fear of the unknown and the risk of ‘making mistakes’ have been tricky to deal with, so it’s been great to have your support and guidance along the way, as well as that of our wonderful team of crew and volunteers at the events. Putting on the events is like a huge jigsaw. I counted up my action list at the Lakeland Trails in Keswick and there were over 100 points to sort out just on the Saturday! Of course, the event crew did a fantastic job getting them ticked off and the event was a great success. I don’t remember ever getting more than 2-3 hours’ sleep on the night before each event which is definitely something I want to improve on this year. Any high points from the year? I think one of the high points (literally) was at Staveley when I left the event start/finish area to climb up to the top of Reston Scar (aka The Sting in the Tail) to do some cheering. I felt the confidence that everything was running smoothly and if anything cropped up, the crew were more than capable of resolving issues. I’ll often be watching the finishers come in too, and seeing their smiles and sense of achievement is so rewarding. 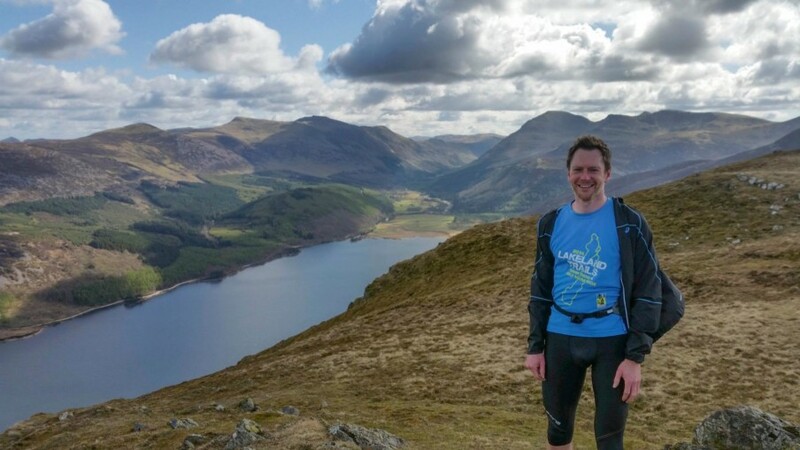 Of course, another high point is when I have to pinch myself because my job involves running a lot in the Lake District – turning the corner of Silver Howe on the ultra-course or dropping into the Grisedale Valley on the Helvellyn course always makes me stop and smile. When you want everything at every event to be a success for everyone, it can be hard to focus on all the positives as there are always things which could have gone better. The first two events last year had a number of issues which I found difficult to overcome. 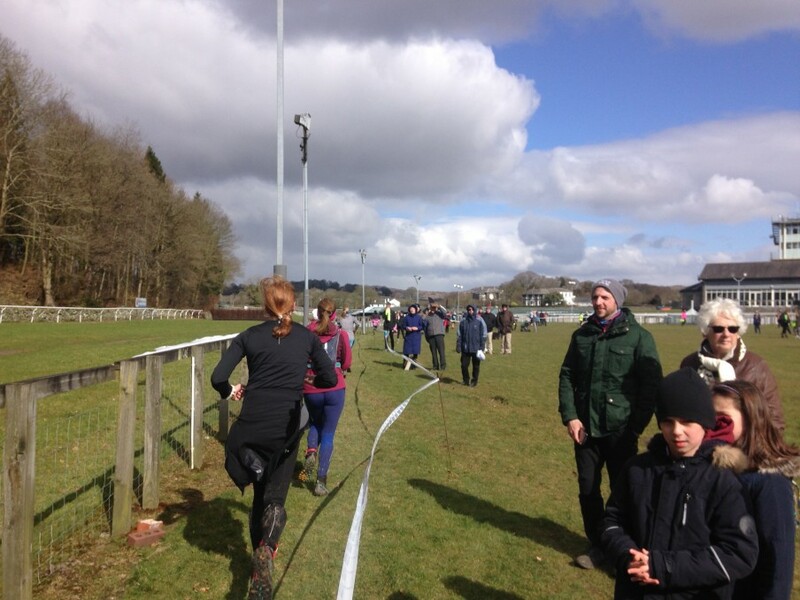 For example, at Cartmel, we could have found a better route through the woods at the finish when the original route was not possible at the last minute due to the waterlogged racecourse. (Incidentally, I had a meeting at the racecourse last week and we have a weatherproof solution so that so runners won’t face that demoralising run in again). Maybe my car parking plans were too complex at Cartmel too, so I got sucked into helping sort that out during the day. I hold my hand up for overlooking the props and signs for theming the Coffin Trail at Hawkshead – I promise that will come back with a vengeance this year! All the things which did or didn’t go to plan are thoroughly discussed in meetings afterwards and lessons learnt for the future. After a busy, challenging weekend, it can be hard, too, to remember that so many people have had an amazing day. Now I’ve had a complete Lakeland Trails season under my belt, I am much more confident about the year ahead. Hopefully that experience will translate into relaxing and enjoying my role more. Lying awake in bed at 2am thinking things over on the Saturday morning is probably not the best way to prepare for the day! Sometimes the best laid plans don’t always come off, even though we always have a Plan B, or even Plan C to fall back on. Carefully reflecting over the whole event, to learn for improving in the future is really important too. What did you do before managing the Lakeland Trails? I suppose you could describe my previous jobs as varied! I’ve got an unused degree in Construction Management as I went straight into Retail Management after university (selling Peruvian alpaca jumpers with the added bonus of regular trips to South America). I got the 7-year itch and re-trained to be a teacher, working in a deprived area of Blackburn before moving back to Cumbria, where after a brief spell in a new school, ended up working in an HMRC call centre for a few months – something I never expected to have on my CV. I was given the option of returning to my old school in Blackburn, but I’d fallen in love with the Lake District great outdoors. I’d been used to working 70 hours a week as a teacher, which I don’t regret, but I certainly wouldn’t do it again. Luckily that was when your offer of managing the Lakeland Trails came up. 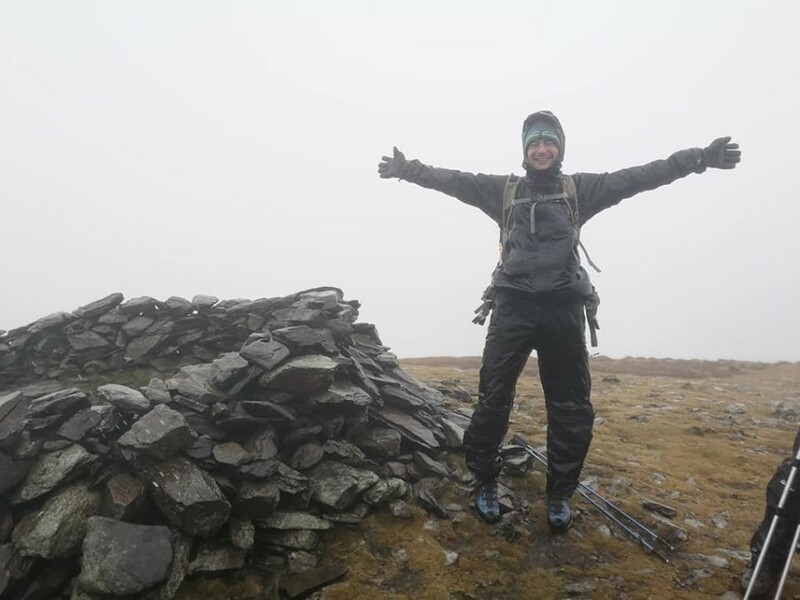 You’ve just completed climbing all 214 Wainwright summits – how did that feel? It was great to finally finish them (although I’m not sure Mr Wainwright would approve of people ‘bagging’ his fells!) A bit like the Lakeland Trails, the challenge has taken me to parts of the Lakes I might not have seen otherwise. Just last week I was high above Ullswater on a glorious day, but I joke that I’m going to publish a book called ‘Mountain Tops in the Mist’ as so many have been covered in clag, and the weather for my final summit last Saturday didn’t disappoint. Fortunately the group of friends I was with remained in suitable humour and we celebrated on the top of Bonscale Fell in 50mph winds and rain. Any challenges pencilled in for the future? I tend to be a bit of a jack-of-all-trades when it comes to outdoor activities so have lots of ideas on the burner. 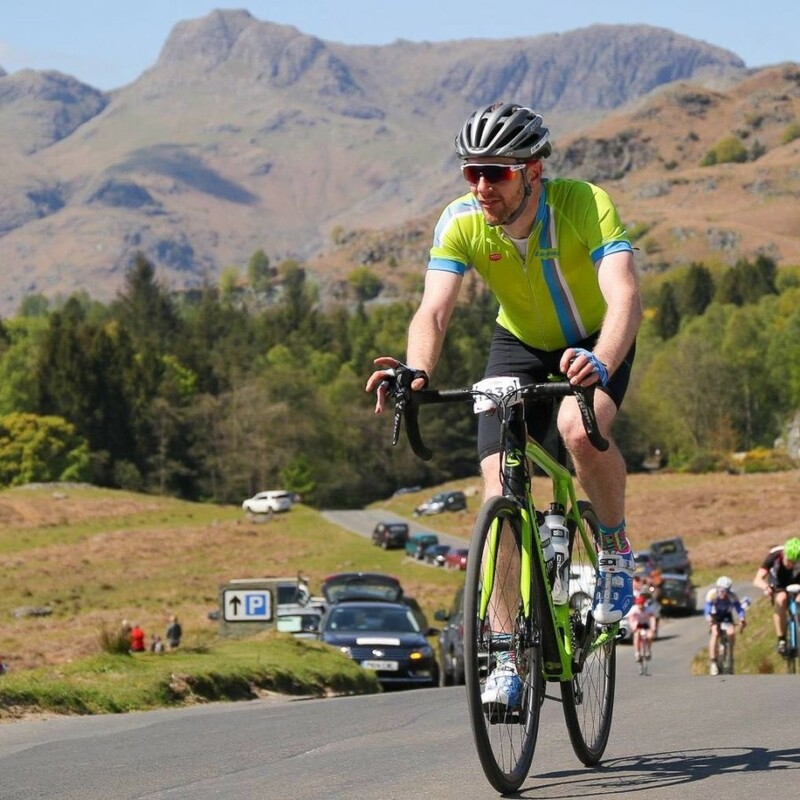 Next up is the Fred Whitton Cycle Challenge the weekend after the Lakeland Trails in Staveley in May. For those who don’t know it, the route is, let’s say, demanding. It’s just over 110 miles long, taking in all the Lake District passes, as well as some lesser-known climbs, with Hardknott Pass, England’s steepest road to look forward to at around the 100-mile mark. I loved it when I took part a couple of years ago. There’s a great atmosphere along the course and several friends (including some who are also Lakeland Trails crew) were out to support me, providing much-appreciated supplies and encouragement. I managed to meet my goals of cycling up Hardknott Pass and finishing! What would you say is the best thing about the Lakeland Trails? This is an easy question because I’ve found it out from my own experience as a runner that it brings so much happiness and a sense of accomplishment and belief to so many people. I love being out on the trails myself and enabling others to experience that pleasure in a safe and controlled way is amazing. 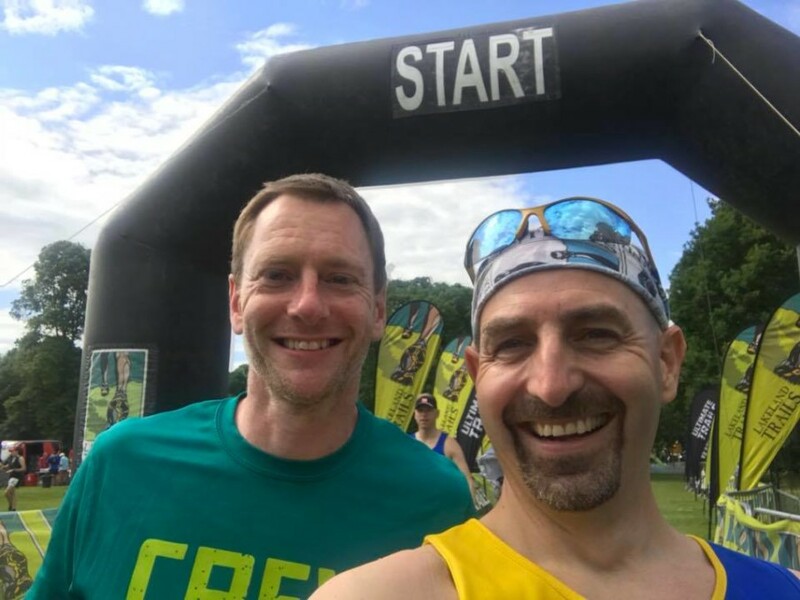 It’s a combination of the dedication and friendliness of the crew and volunteers as well as the runners, which generates such a lovely atmosphere at the event and out on the course. Oh, and how can I forget the stunning scenery! Anything else you’d like to add for our competitors this year? 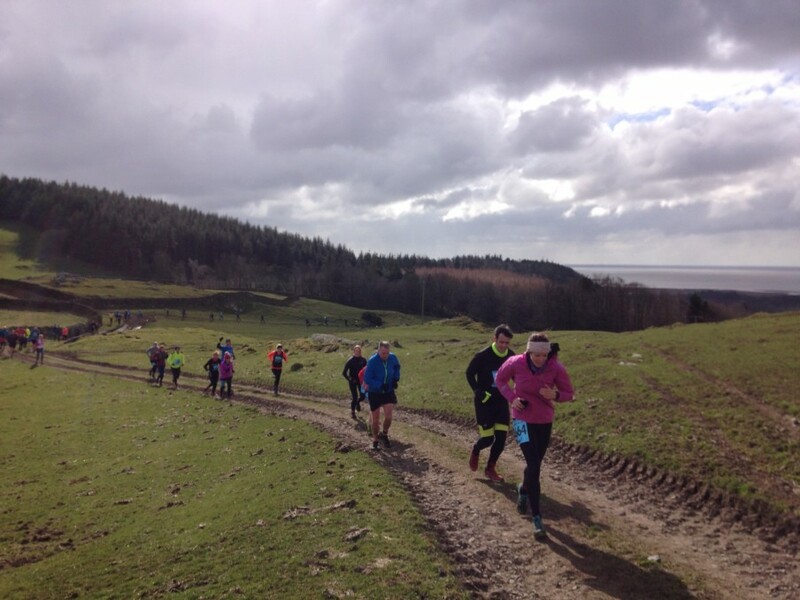 I can’t wait to be back on the trails in Cartmel on 16th March and am working hard to make things even better than my ‘debut’ last year. 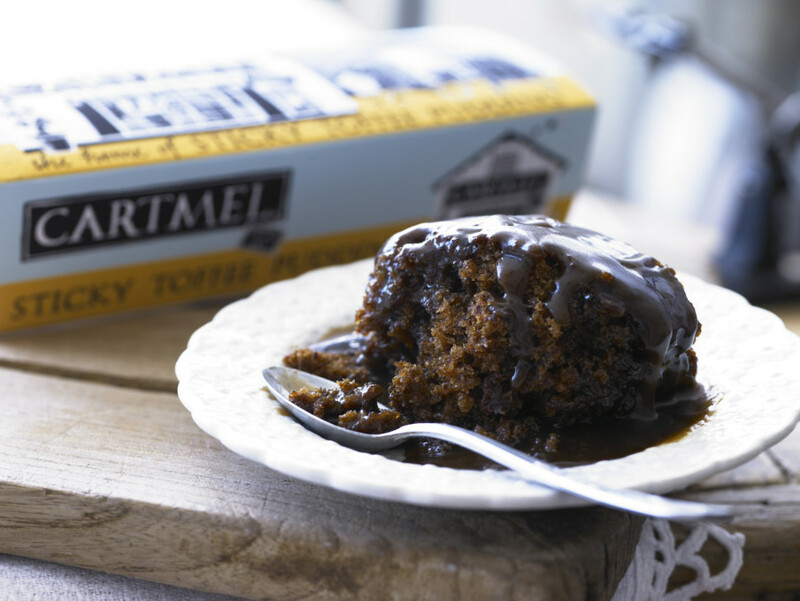 As we’re celebrating our 10th anniversary of the Cartmel Trail this year, all our finishers will earn a delicious Cartmel Sticky Toffee Pudding as a special treat, as well as an event T shirt. I always enjoy chatting to our runners on event day so come and say hello and let me know how we’re doing. Thanks very much Phil – it’s been a pleasure working with you over the last five or six years and I’m looking forward to many more in the future. 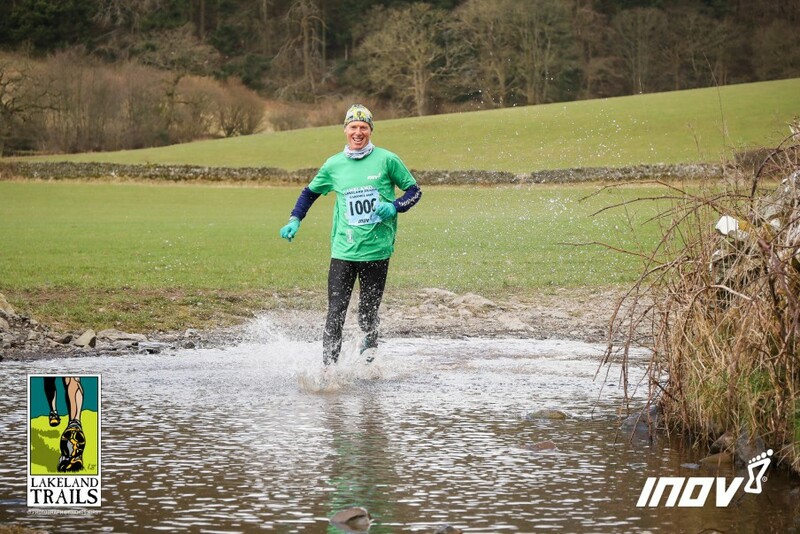 Co-ordinating and taking responsibility for the Lakeland Trails events is a massive undertaking, and certainly not for the faint hearted. Experience is hard earned. You’re learning all the time and I have no doubt this all helped with the way you managed the horrendous conditions for our 2018 Dirty Double finale weekend. We’re all lucky to have such a positive and enthusiastic person at the helm. Good luck with the events this year. Now me and my family are back from France, I’m looking forward to running in some of them myself! 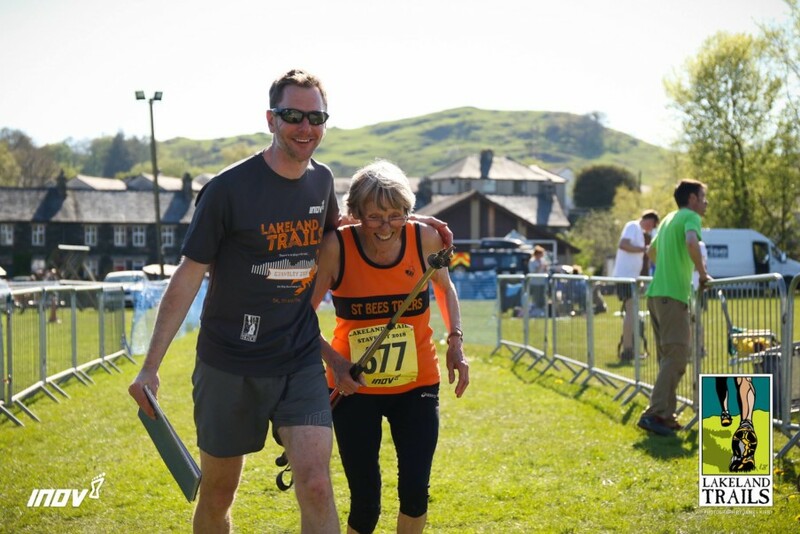 Early bird entry for the 2019 Lakeland Trails is open until 31st January. 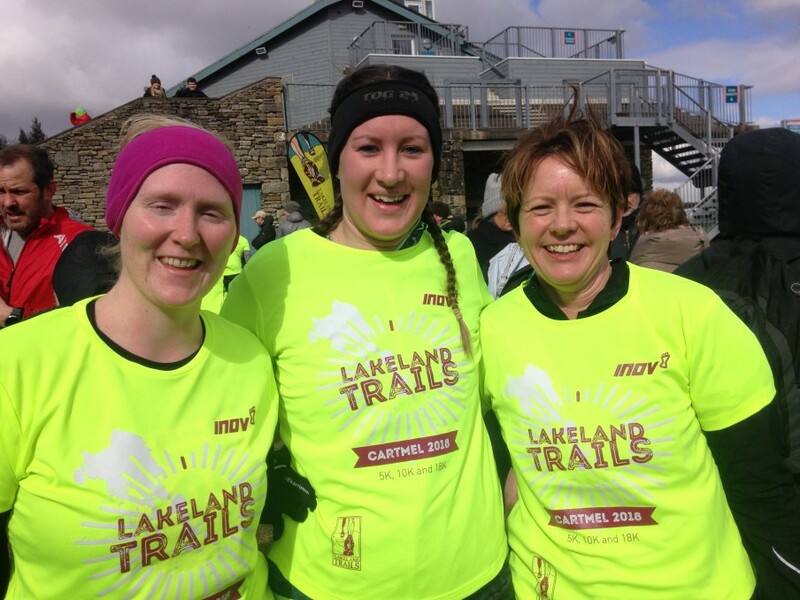 Visit the Lakeland Trails website to check out the events and enter online. 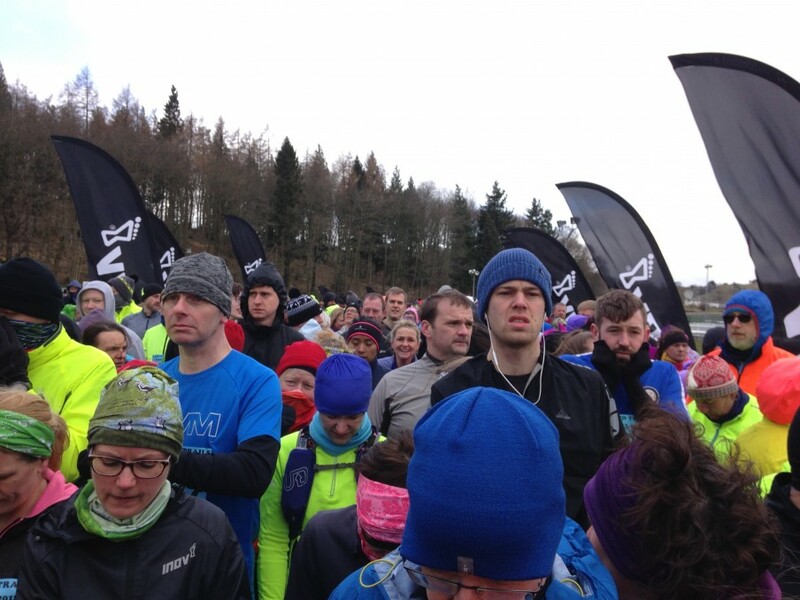 My eyes were watering from the strong, bitterly cold, easterly wind coming straight off the Baltic, bringing Siberian wind chill temperatures to the Lakeland Trails season opener in Cartmel. I don’t think I’ve ever been as cold at sea level. Everything I’d brought with me I had on before the start. And I was still freezing. Everyone else was well wrapped up too. 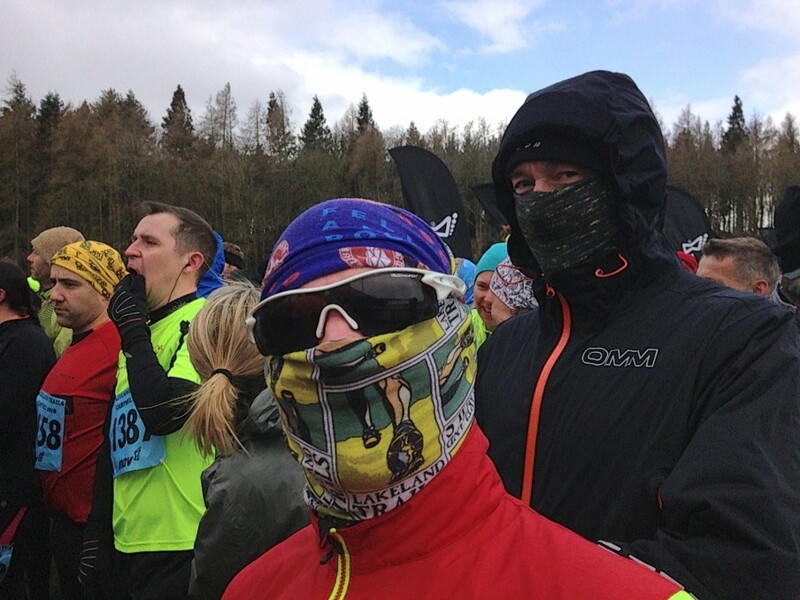 Balaclavas and buffs covering exposed faces, making us a motley looking crew of bandits. One or two hardy souls in shorts. A mass of humanity grouped at the start, like a mob of Antarctic penguins, shuffling around to keep warm, waiting for the off. Flurries of driving snow, then sunshine. Almost spring. What do they say about March? In like a lion, out like a lamb? At last, there’s movement at the front. Soon we’re moving too, over the timing mat and away. 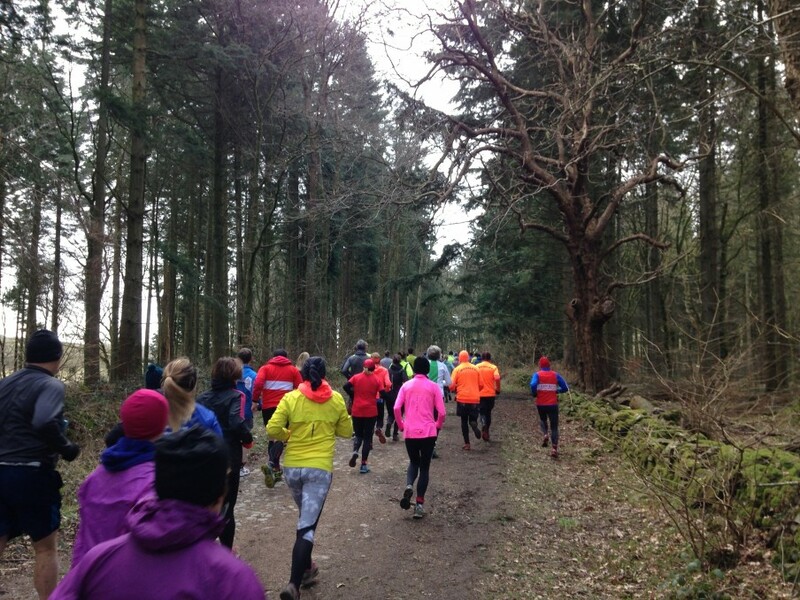 A migration of trail runners. Relief to finally be moving, already the leaders of the 10K are out of sight. Everyone seems to be enjoying themselves now, chatting to each other, running in two’s and three’s. Some are in cosy warm looking puffer jackets, making me wish I’d thought of wearing mine. I had on tights, a thermal top, last year’s green Helvellyn tee shirt in honour of the Irish and Paddy’s Day. A warm hat, buff round my neck and thermal green gloves. I still wasn’t warm though. Big puddles as we near the woods and there’s a bottle neck in front. People are stopping to pick their way around to avoid the icy waters. I egg people on to splash straight through, to keep up our momentum. When the trail starts to climb gradually, I’m pleased, my muscles finally warming up. Some are already walking. Maybe they set off a bit quick? Everyone was encouraging and I joined in too, knowing every step of the route ahead. Glimpses of Morecambe Bay and then we double back. Into the teeth of the wind. The ground is hard and dry. A combination of frozen soil and the recent dry easterly winds. This is the driest it’s ever been in the nine years of the Cartmel Trail. Across fields and the usual mud bath has been reduced to a few puddles. 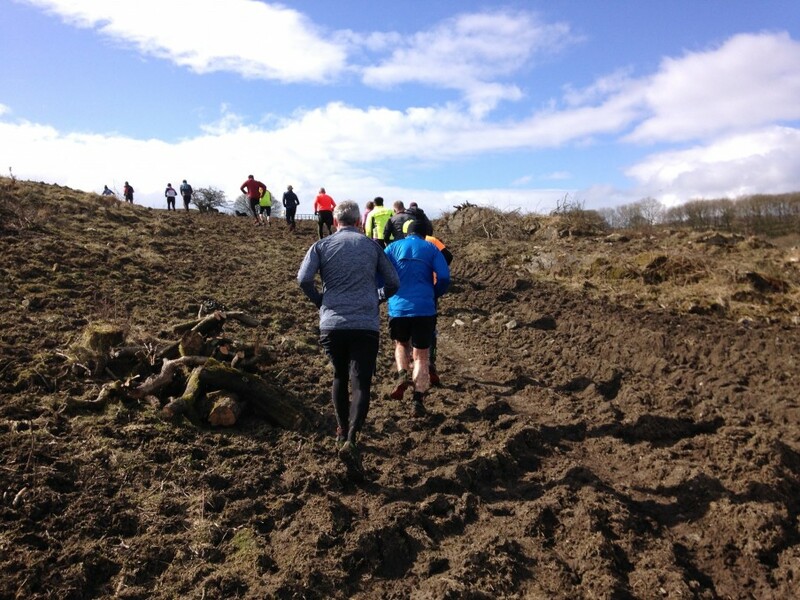 Last year it was a knee deep quagmire, the reason we call this course “The Beauty and the Beast”. Shelter from the wind along the tarmac single track lane. An easy downhill to the water station. With the wind behind and sun in our faces, it starts to feel warm. 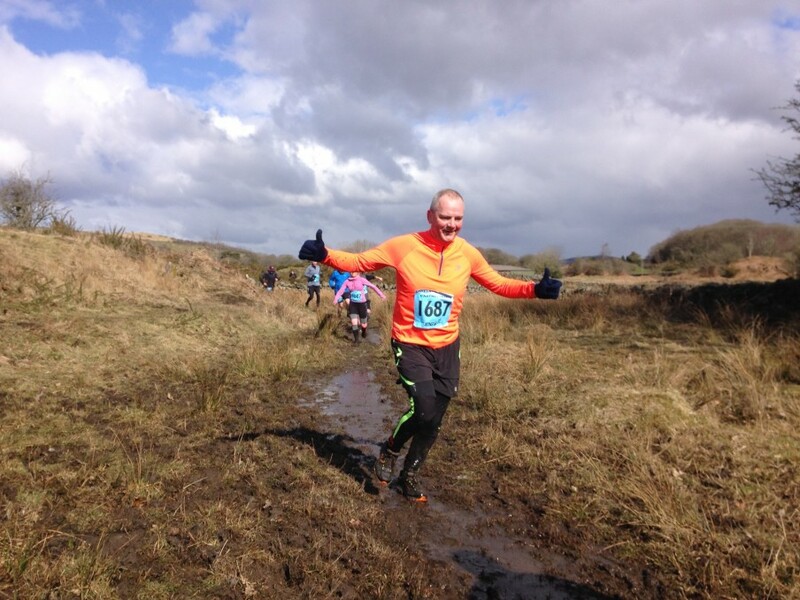 Hard work through a tough, boggy section. Bedraggled ponies watch us run up their hoof-marked field, churned up and rutted like it’s been ploughed. It must have been a long, hard, wet winter for them. Miniature wild daffodils on the verges bring a welcome dash of yellow, hint of spring. 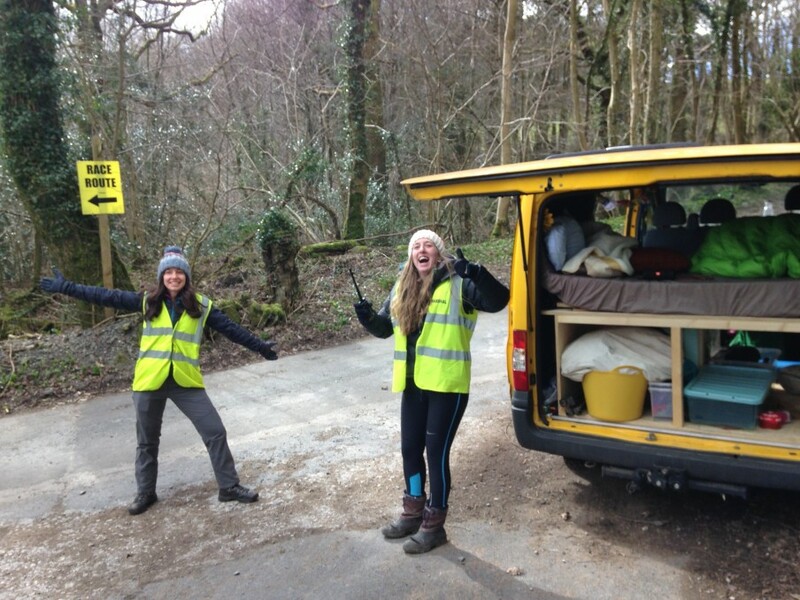 Two girls marshalling at a lane junction, playing music, cheering us on. Dancing to keep warm and making me smile. The spirit of our volunteer marshals is amazing. It must be extremely cold to be standing still in this wind all day long. Now some 5K runners join us, making a splash through the stream. Uphill through the woods and many are walking, looking spent. It’s not over yet though. Across tree roots and rocks, we can hear the band and the MC tantalisingly close. Then agony when we reach the Racecourse and start running away from the finish. The course re-routed at the last minute to avoid damaging the hallowed turf. An endless, long run for home, spectators cheering, cowbells ringing out their welcome. I finish with lots of others, many of them new to the Lakeland Trails. 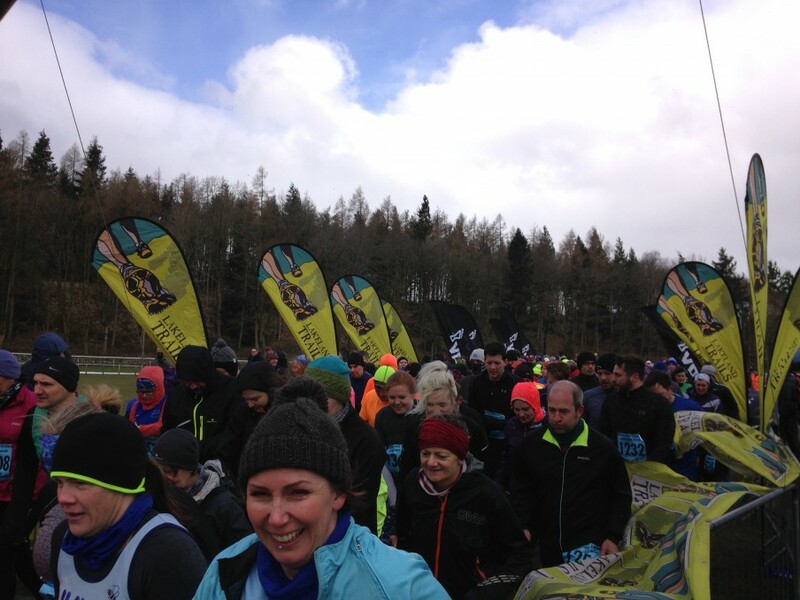 Everyone beaming with pride at having finished the course and braving the elements. The steel band is playing away, despite the cold and wind. We collect our well deserved finisher’s T shirt. Then for me, it’s into lots of warm clothing. A hot coffee, some good food, catching up with other runners I’d not seen since last year. 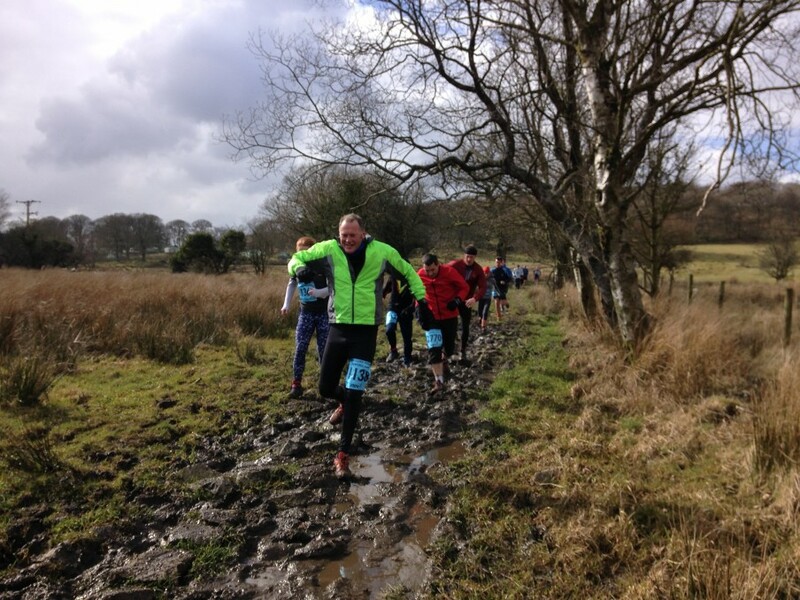 I can’t wait until the Hawkshead Trail in April. Surely it will be warmer by then? Sign up to my blog to have a chance to win FREE trail running goodies. There are some great gifts on offer, such as trail running product, entries to the Lakeland Trails events and lots of other items too. On the 15th of each month, everyone on my subscribers list will go into a prize draw and the winner announced on the Lakeland Trails Facebook page, as well as by email.